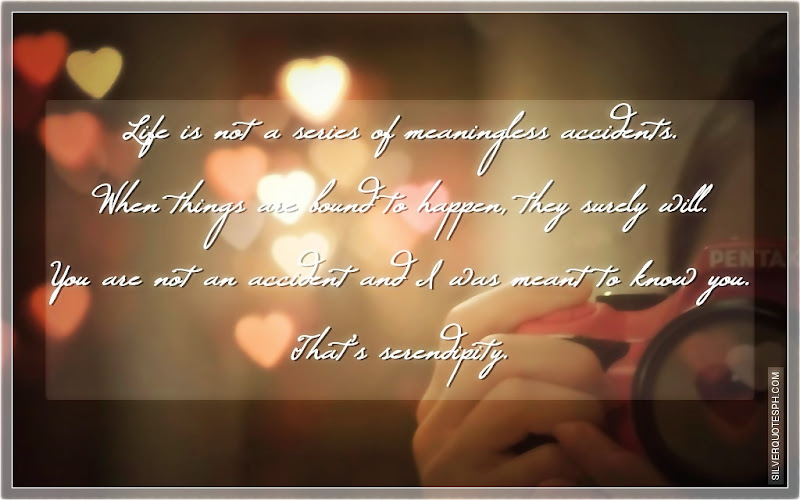 Life is not a series of meaningless accidents. When things are bound to happen, they surely will. You are not an accident and I was meant to know you. That’s serendipity.